Happy State of the Union day, everyone! The deputy director of the FBI has been forced into early retirement by political pressure from the Executive branch and a Constitutional crisis is brewing as President Trump continues to ignore a congressionally certified round of sanctions on Russia, which makes it a fine day indeed for the fourth Purge movie, now called The First Purge, to debut its poster. 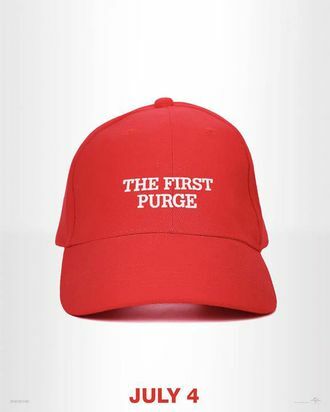 You may recognize the iconography with the red hat, and even though the last two Purge films have come out in July, this will be the first one to hit theaters on Independence Day. The inaugural night of legalized murder and mayhem will be set on Staten Island, turning the borough into an isolated prison yard where the economically disadvantaged try to survive the night by killing through it. So, Happy Fourth, to one and all!